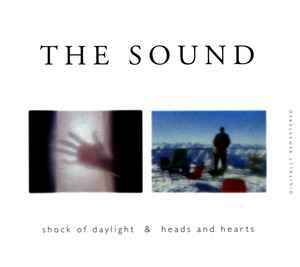 Digitally remastered compilation reissue of the albums "Shock Of Daylight" (1984, tracks 1 to 6) and "Heads And Hearts" (1985, tracks 7 to 17) with two bonus tracks (18 and 19) which were previously released as B-sides on the "One Thousand Reasons" 12". These two albums had not been previously issued together as a single compiled release. "Shock Of Daylight" produced at Townhouse 3, January 1984. "Heads And Hearts" produced at Townhouse 3, November 1984. "Blood And Poison"/"Steel Your Air" produced at Silo, July 1984.